AVAST!!! PIRATES!!! 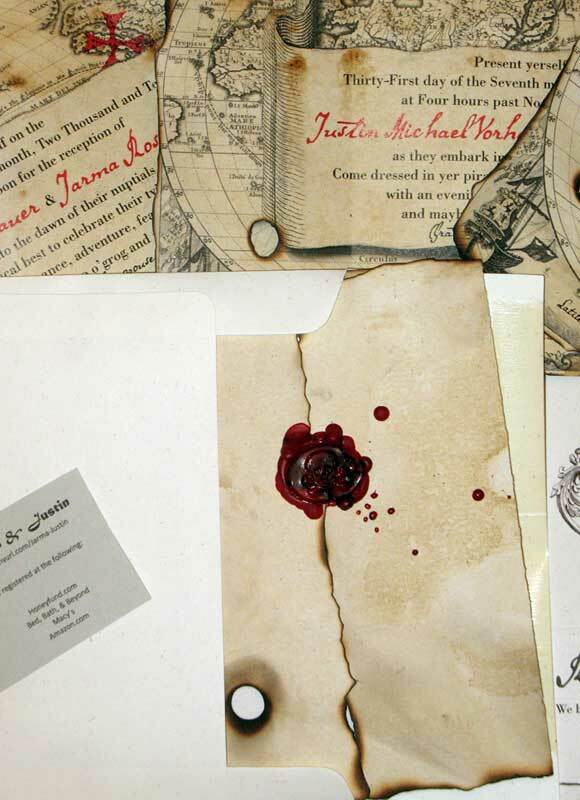 remember these incredibly fun invitations? and how they were starting to take shape here? 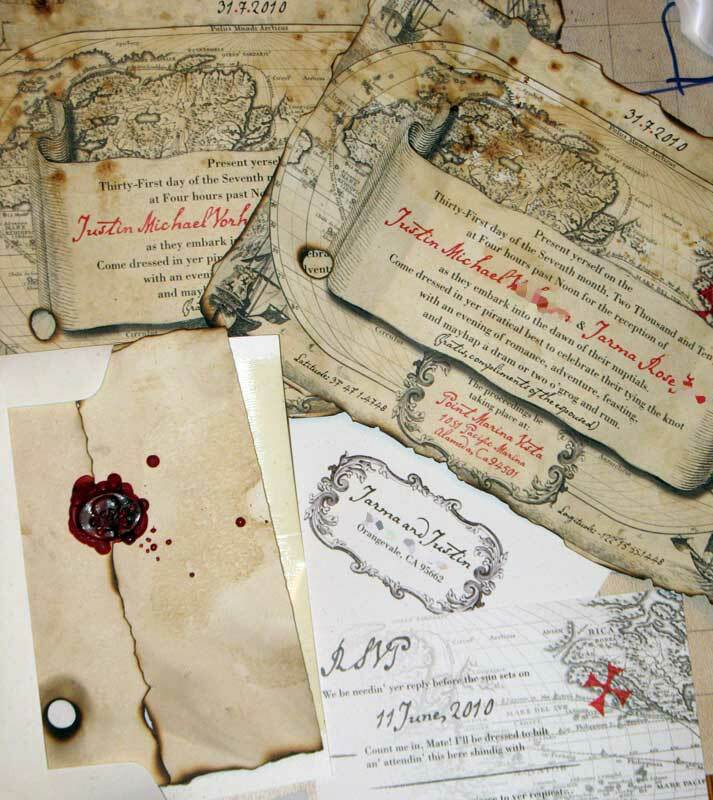 well, me hearties, after getting aged and burned with a musket ball sized hole to boot, they’ve been set free to their eagerly awaiting bride and groom! .. and have SINCE made their way farther out to sea to the honored guests, sealed with blood red wax & stamped with the jolly roger! i sat here for a solid while trying to write something clever in pirate-speak, but it wasn’t doing the job (matey). so, in plain ol’ english: jarma and justin, it was awesome getting to work with you on your invitation project! i had such a fantastical time with this . thank you for planning outside the box, and letting me come along for the ride! lol leave it up to you to be so clever and awesome! So so fun, Evelyn! I love seeing the creativity, and the incredible capabilities you have. Wow!